I have tried other sharpeners but this has been the best todate. Incredibly simple to use and super-efficient, our twin diamond and ceramic knife sharpener will ensure you keep all your ProCook knives razor sharp and ready for use. Remove the cover over the sharpening blades and add about 5mm of water - this acts as a wheel lubricant for the best results. To sharpen your knives simply run your knife blade in a to and fro motion firstly through the diamond wheel (No.1) 3 or 4 times. This will take the initial bluntness from the blade. Repeat the process with the ceramic wheel (No.2) which will finish off the blade for extra sharpness. The twin diamond and ceramic knife sharpener features small rubber feet ensure that the sharpener stays put when in use. For use on metal and carbon steel blades. 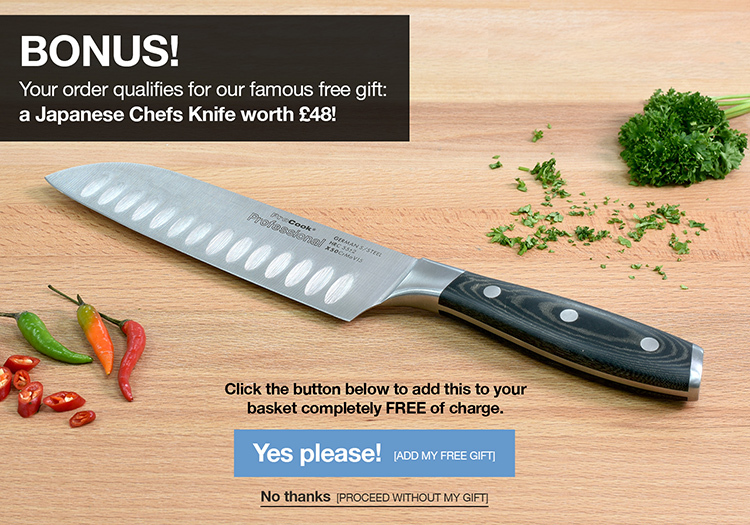 Suitable for the full range of ProCook knives. Not suitable for use on ceramic knives.